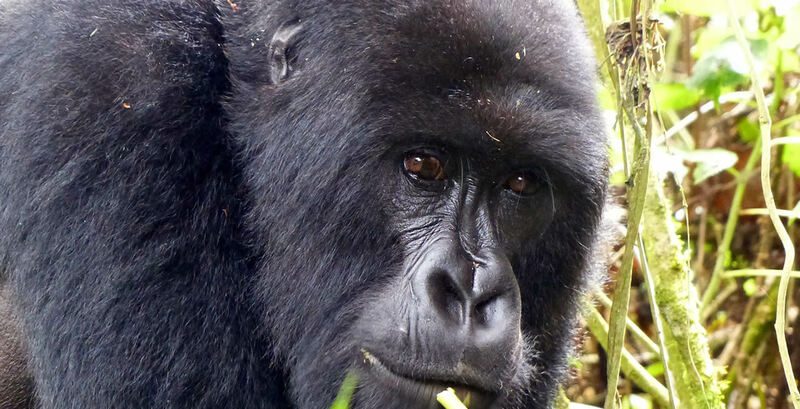 Enjoy tracking mountain gorillas in Bwindi Impenetrable Forest on this 4 Days Gorilla Adventure. Gorilla trekking in Uganda is one of the most popular tourist attractions. Upon arrival at the airport, you will be warmly welcomed by our guide who will then take you to Serena Kampala Hotel (High end) or Cassia Lodge (Mid range) or Forest Cottages Kampala (Budget end) for an overnight and dinner. Meal plan Dinner. Our guide/driver picks you at 7:30 am from your hotel or place of residence in Entebbe or Kampala. Drive to Mbarara (283km from Kampala) via Masaka. Make a first stop over at Equator crossing for snacks and photography. Proceed with a visit to Igongo Cultural Village this is more rewarding and amazing as you visit the Ankole museum. Lunch break is made at Agip Motel Mbarara. After lunch, drive to Bwindi. This is the lushest highland rain forest on earth, filled with primates and exotic birds, valleys, hilltops and papyrus swamps. Dinner and overnight stay at either Buhoma Lodge/Mahogany Springs/Gorilla Safari Lodge (high end lodge) or Sliver back Lodge/Chameleon Hill Lodge (Mid Range) or Buhoma Community Bandas/Wagtail Eco Camp (Budget Facility) Meal Plan: Lunch and Dinner. Begin the day with breakfast ready for trekking, which begins at 8:00 am with a briefing from the UWA staff. Ensure to carry along with you rain jacket, drinking water, snacks, jungle boots etc The guides will lead you inside the jungle to see the shy Primates for a group you have been booked for. Do not forget to take your lunch boxes and all the necessary gear to track the rare Mountain Gorilla, perhaps one of the most exciting wildlife experiences on earth. The tracking may take between 2 and 6 hours but it’s well worth the effort. The afternoon is spent on a village walk. The Buhoma Village Walk gives you a great opportunity to see how the people surrounding Bwindi Impenetrable Forest. It also is a great way to support the local community in a direct way. The Walk begins with your guide at Buhoma Community Rest Camp and is most informative, rewarding to the average visitor. It will amaze you how resourceful the local people are as you see and learn their ways. Dinner and overnight stay at either Buhoma Lodge/Mahogany Springs/Gorilla Safari Lodge (high end lodge) or Sliver back Lodge/Chameleon Hill Lodge (Mid range) or Buhoma community Bandas/Wagtail Eco Camp (Budget facility) Meal plan: Breakfast, Lunch and Dinner. End of the 4 Days Gorilla Adventure.